We recognize that the ServiceNow platform comes with its challenges, and everyone needs a team of supporters behind them. We hope that this eBook can save you some headaches and provide helpful ServiceNow pointers. 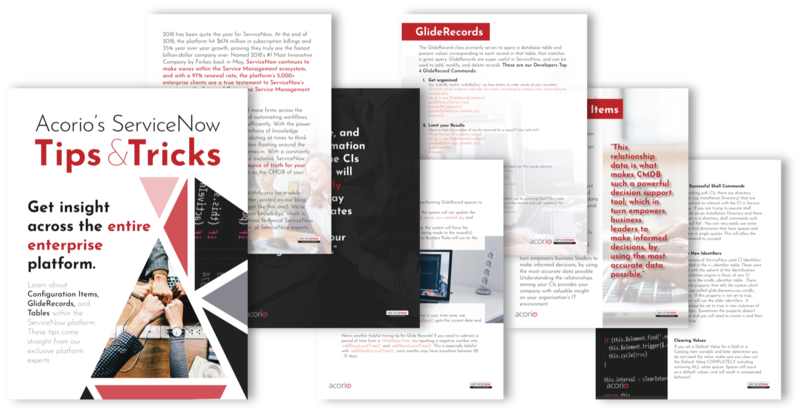 Our newest edition of hand-picked ServiceNow tips & tricks gives you insights across the entire platform; from basic structural components like Configuration Items and Tables and Glide Records, to tips on specific modules, like Incident Management. Fill out the form to get your ServiceNow hacks now.